What would you say is The Farm Soho’s most unique offering? 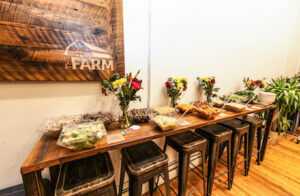 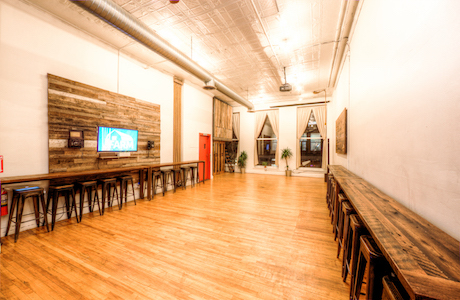 The Farm SoHo Main Event Hall is decorated with custom-made furniture taken from actual barns across the US. 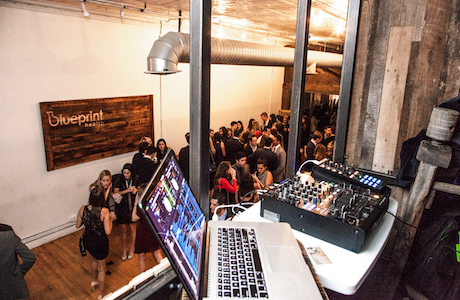 Space features a DJ booth overlooking the venue and also modular furnishings designed to be used for events of all kinds. 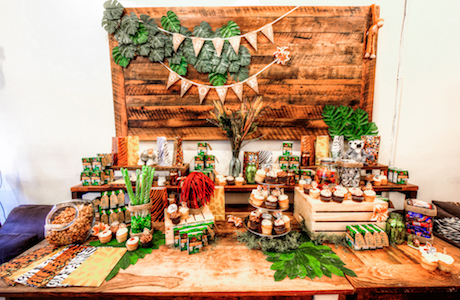 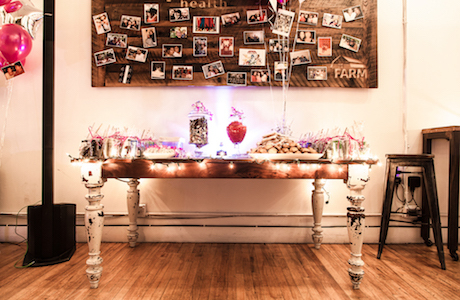 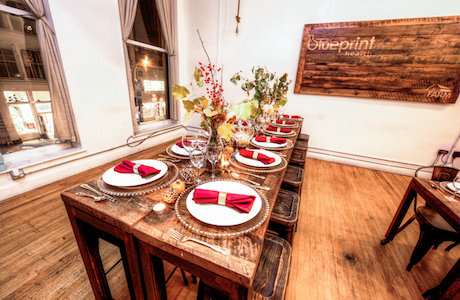 Multiple arrangements can be created to host any type of event from a offsite corporate meeting to a holiday party. What do you think would surprise most planners to know about your space?Located at the back of the loft with three large windows and plenty of natural light, the Bleachers are designed to hold up to 20 people. 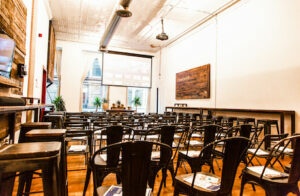 The projector and novel seating arrangement make it the perfect space for an intimate presentation/discussion session. 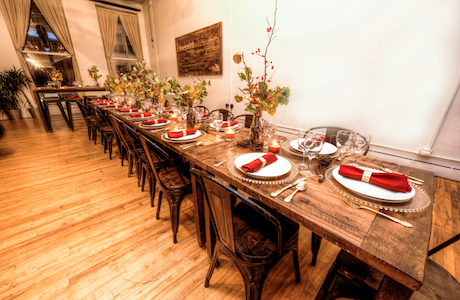 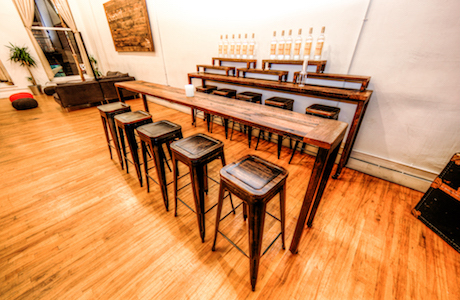 A 10-person table can also be provided for different arrangements. 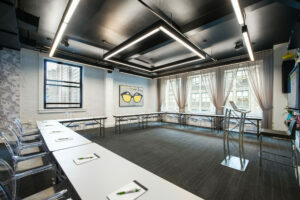 It can also be used as a breakout room if required. Our venue offers full service from vegan catering to a mixologist bar menu. Your clients will be amzed with the quality of the service we offer. 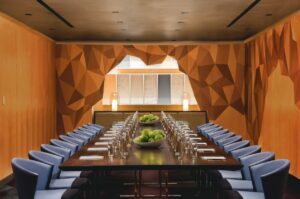 Hosting United Nations offsite meeting while they discussed the global maternal mortality rates was an incredibly fulfilling experience. 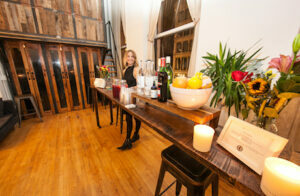 Utilizing our spacious high ceiling historic soho loft to stage a 1920s themed ball. 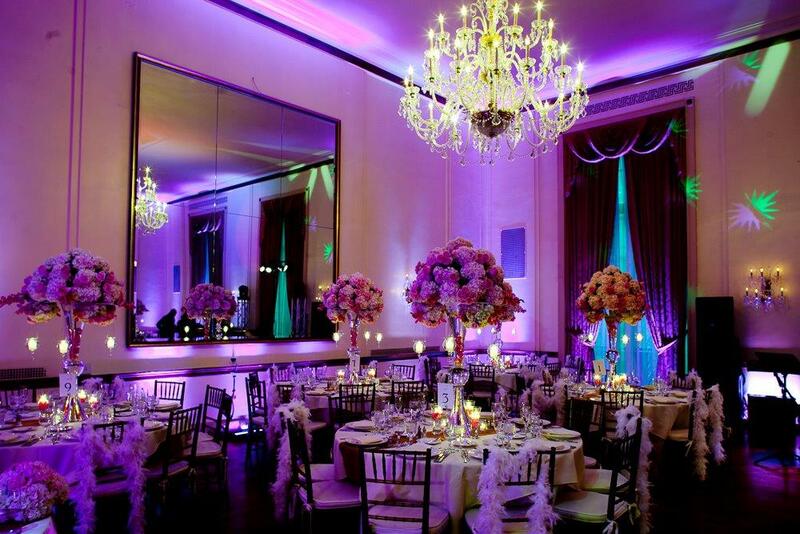 This will help emphasize the historical character of the venue while producing a memorable event for the guests. 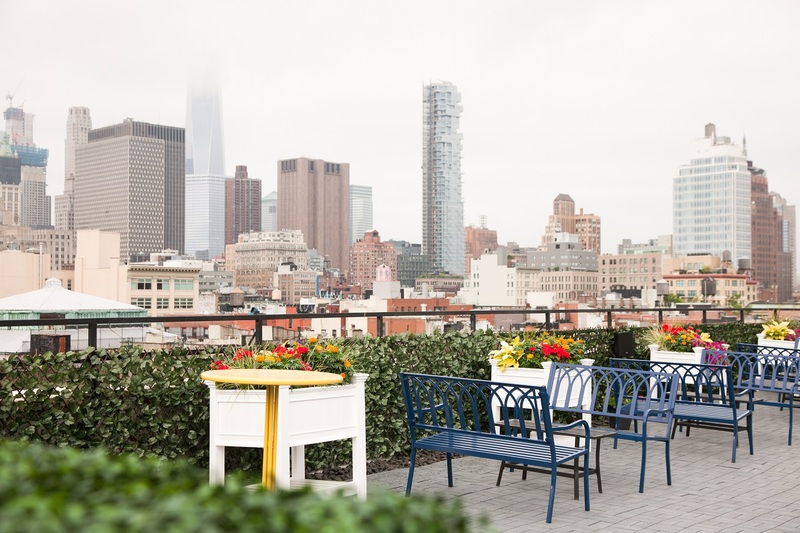 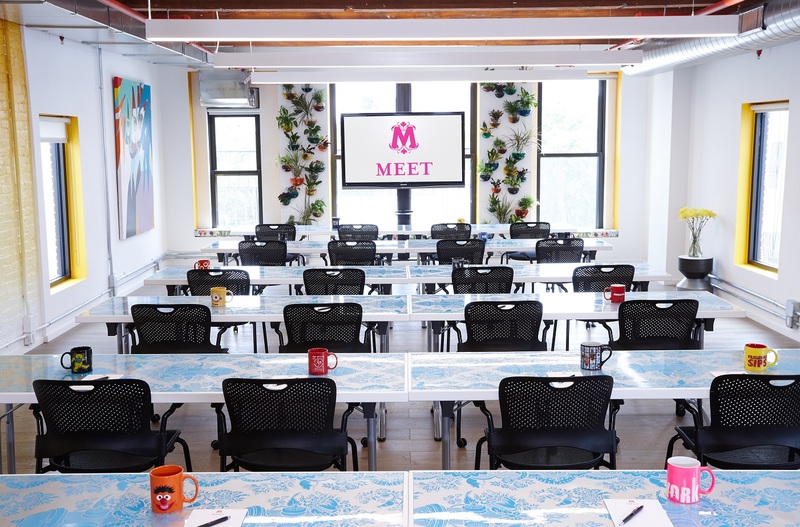 Enjoy OFFSITE with a view (of the Empire State Building)! 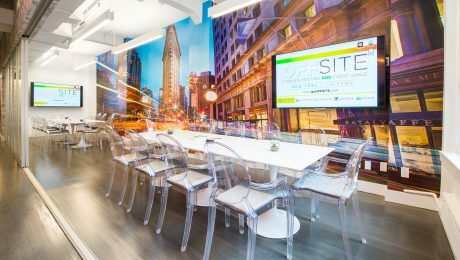 Like all OFFSITE locations, quality and convenience is a top priority. 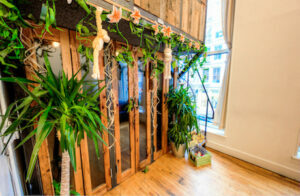 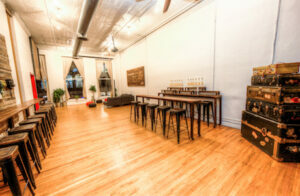 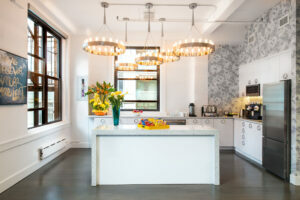 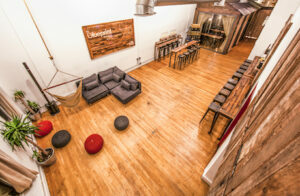 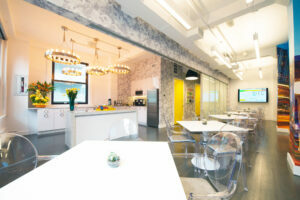 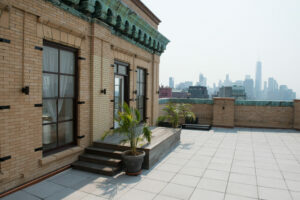 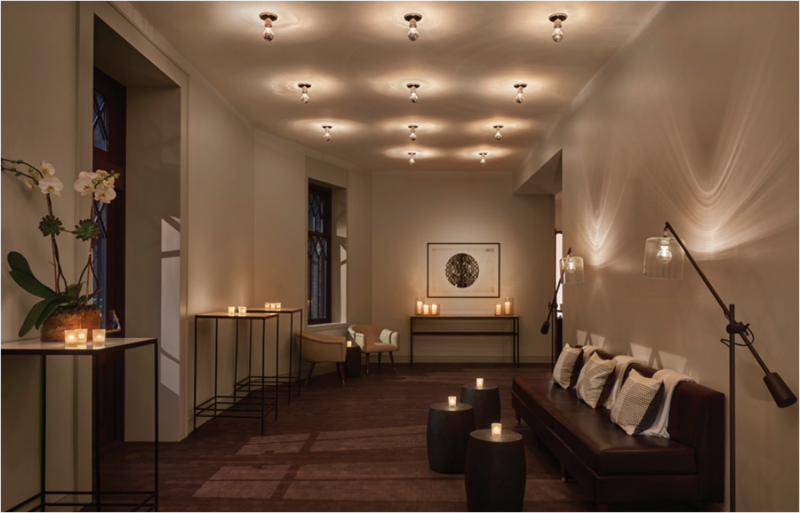 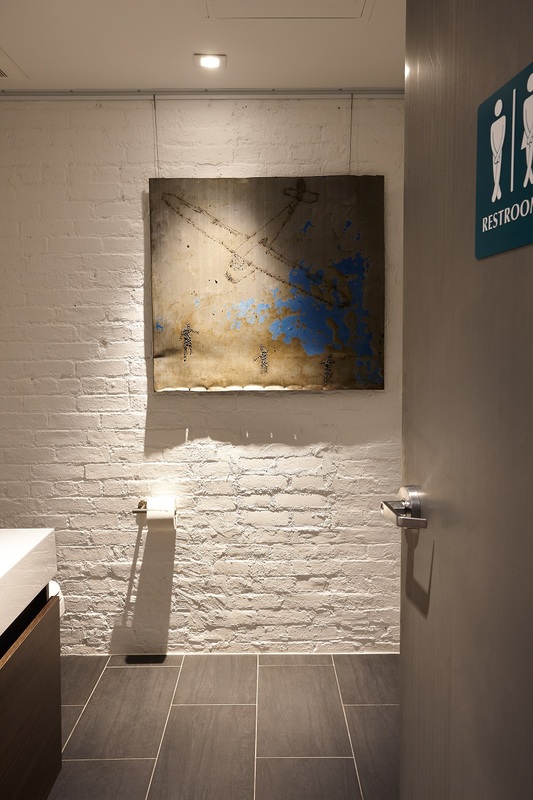 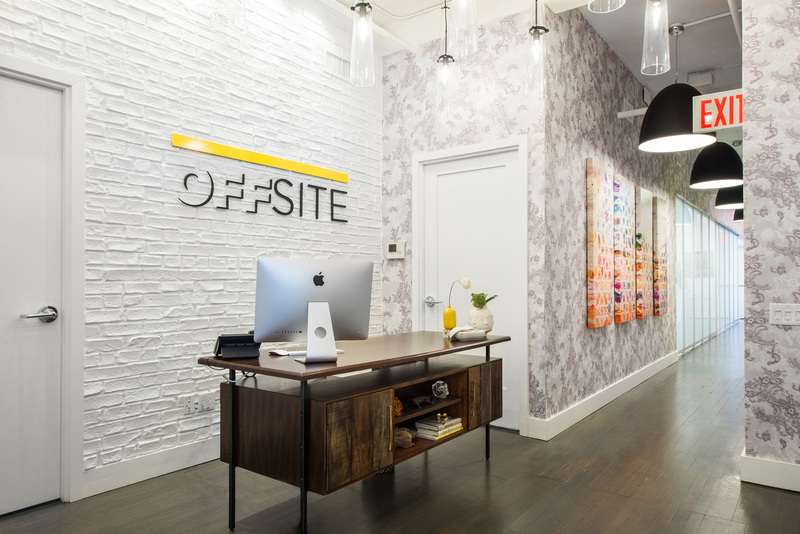 At OFFSITE Loft, clients enjoy the private and exclusive turnkey experience they’ve come to know and love from us. 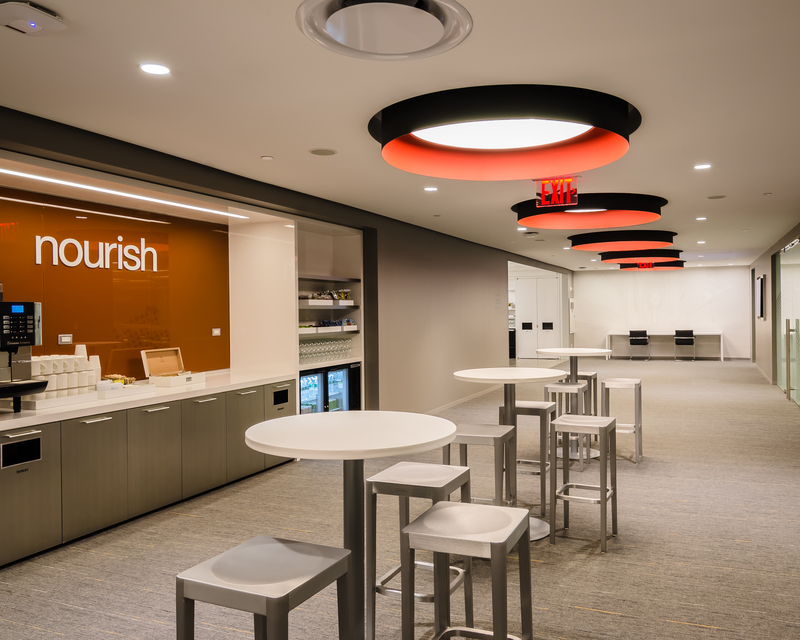 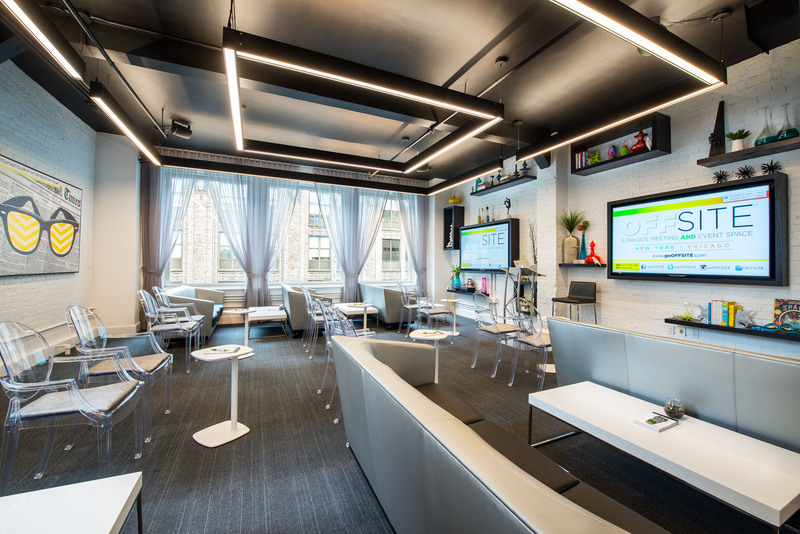 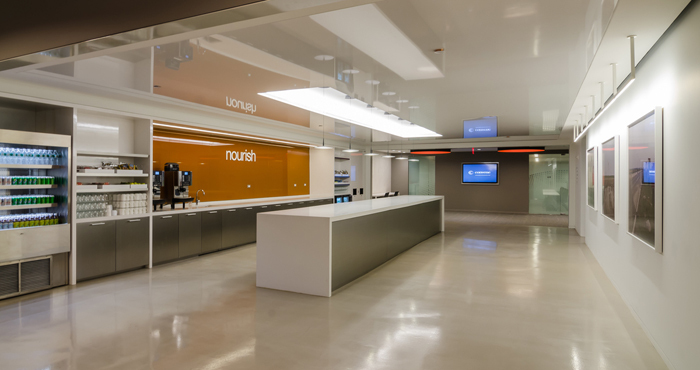 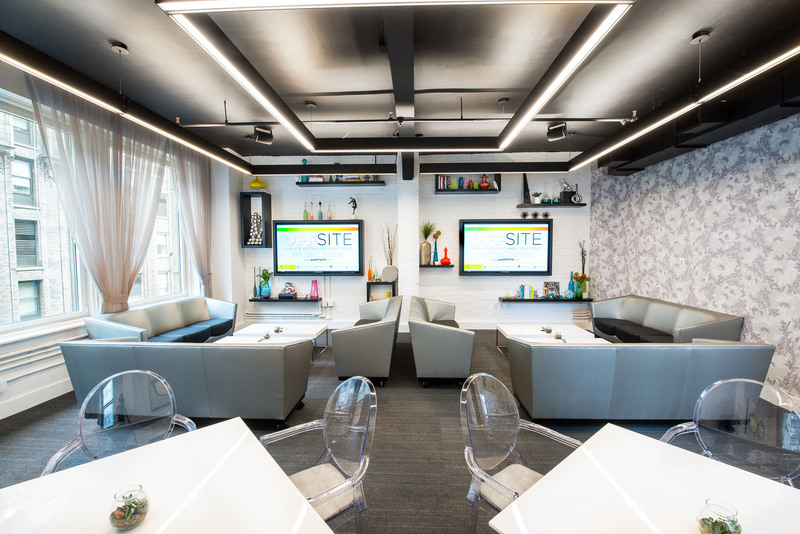 Access to OFFSITE Loft includes luxurious and comfortable seating, state-of-the-art technology, snacks, beverages, office supplies and a full staff to support it all at no extra charge. 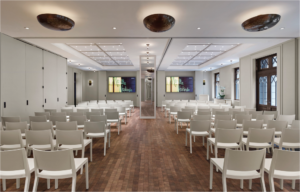 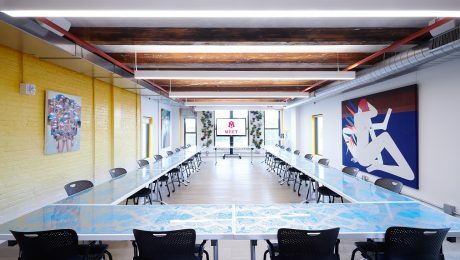 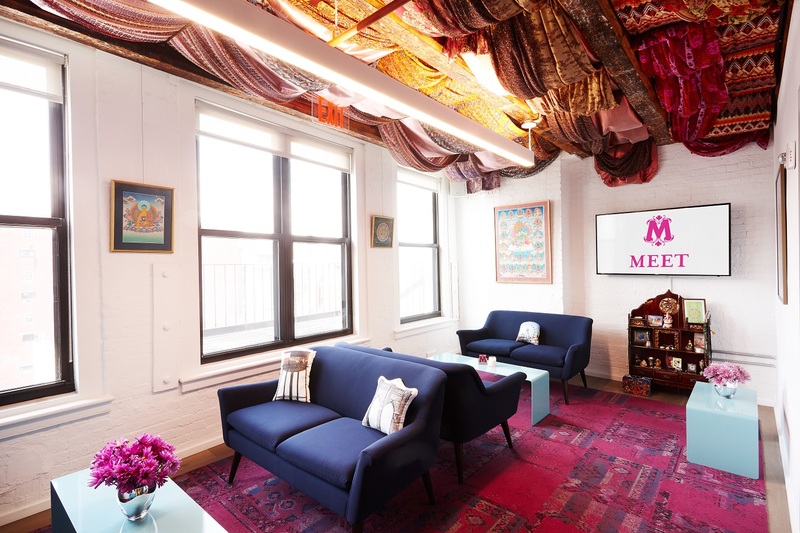 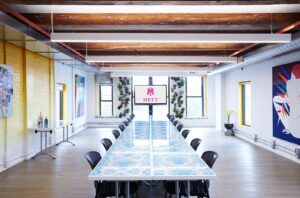 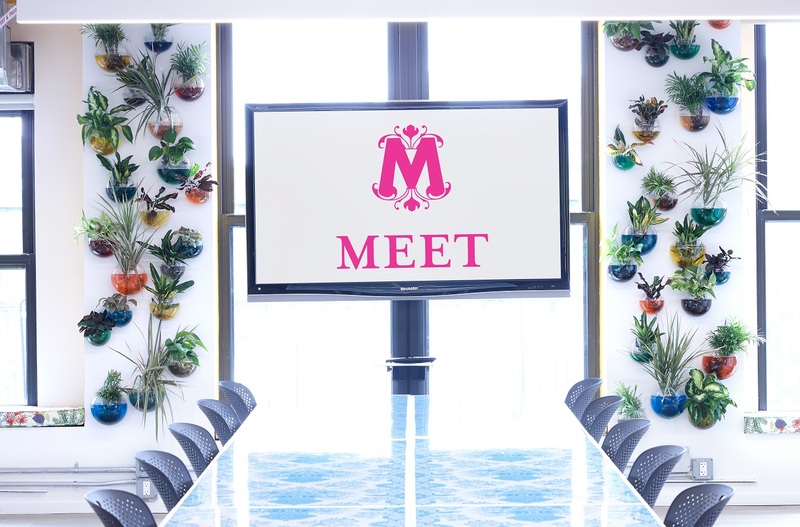 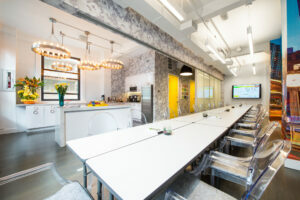 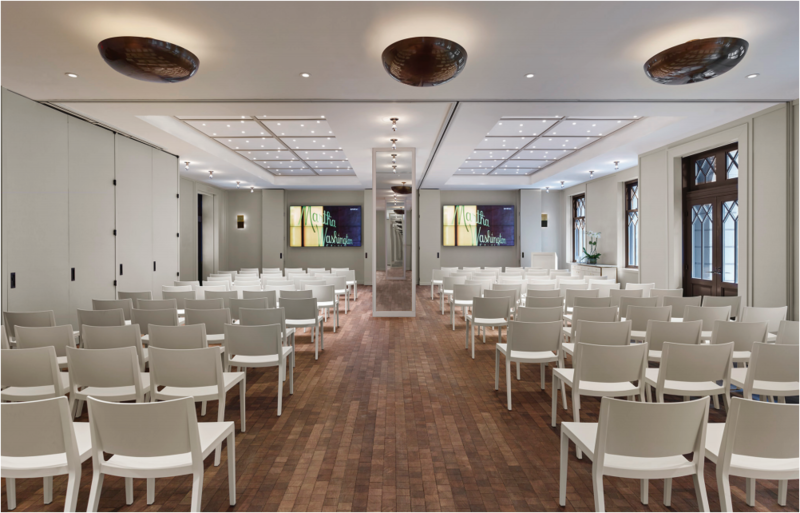 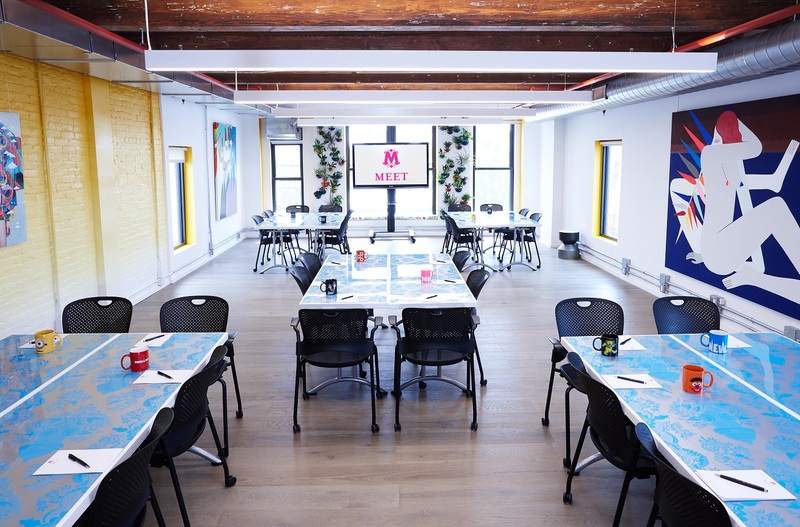 Designed to impress, inspire and accommodate, the airy, three-room loft space in the heart of midtown comfortably hosts up to 35 guests for collaborative meetings, client events and creative teamwork. 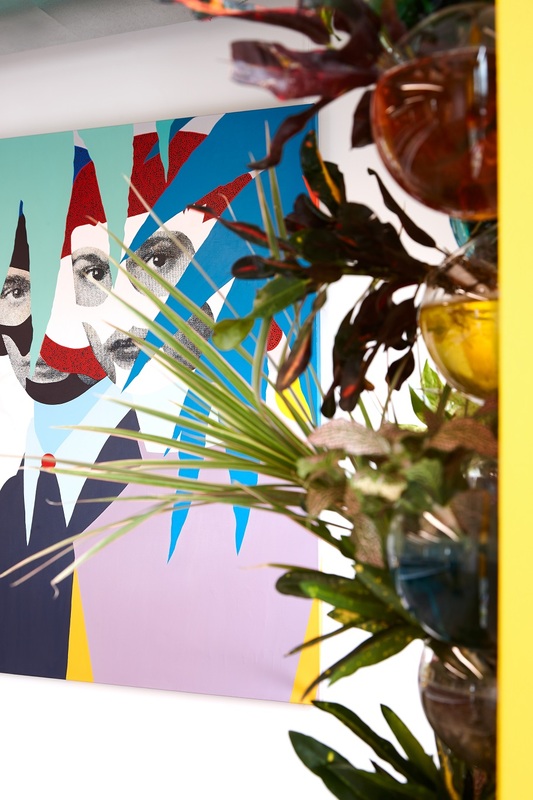 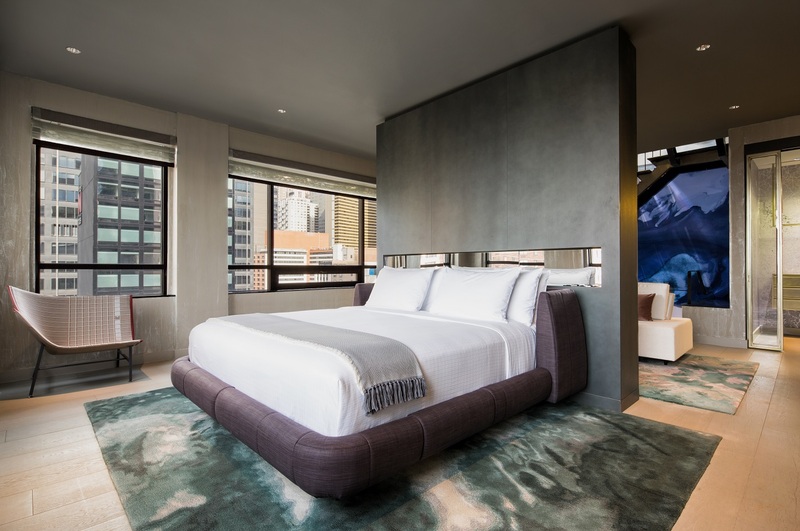 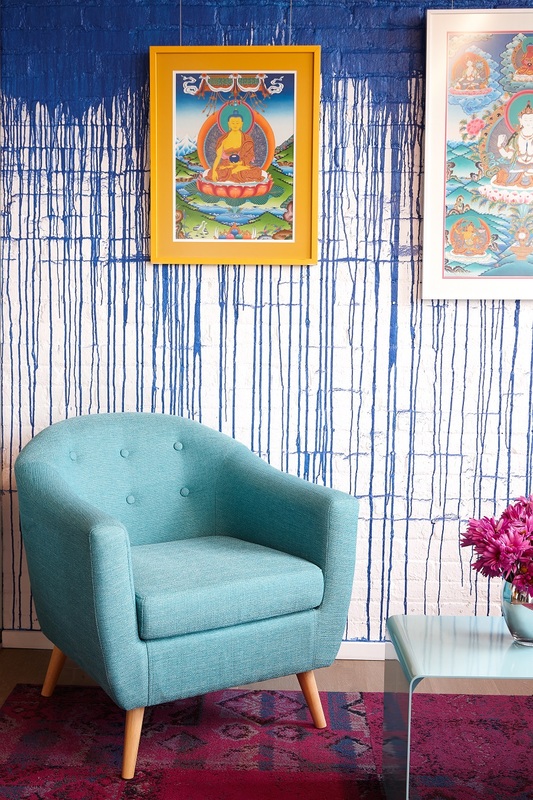 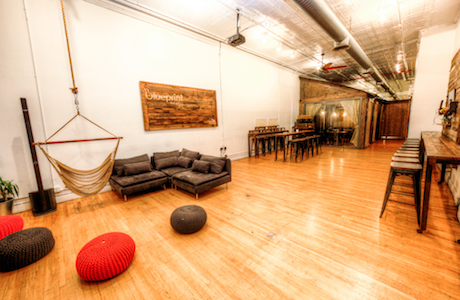 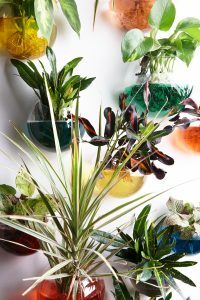 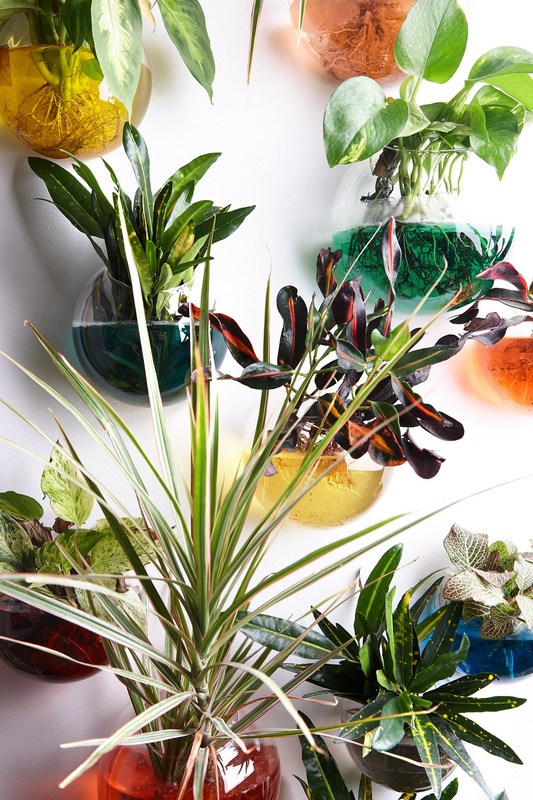 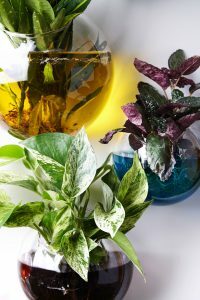 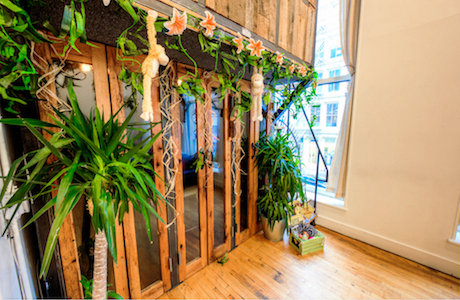 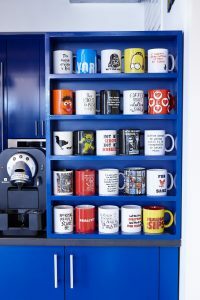 What would you say is OFFSITE Loft’s most unique offering? 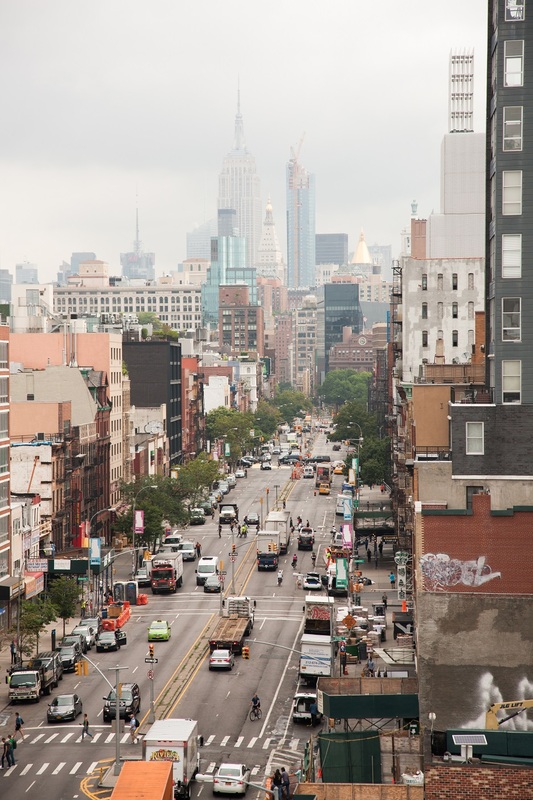 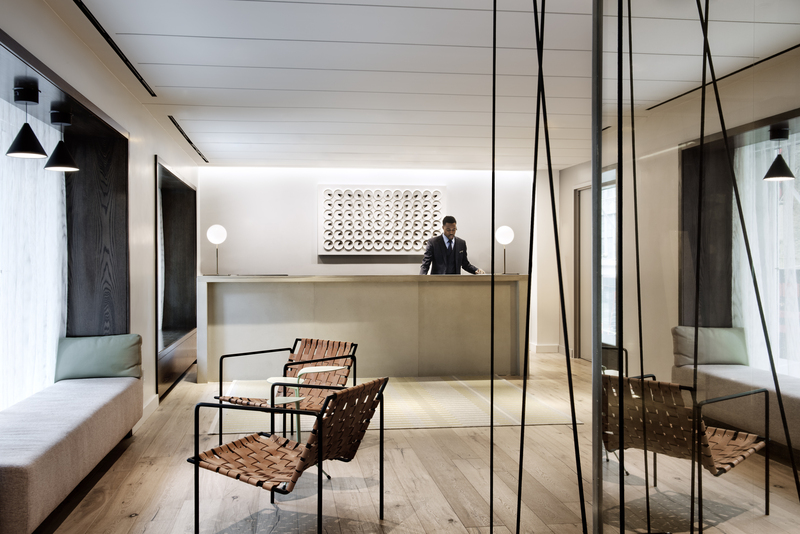 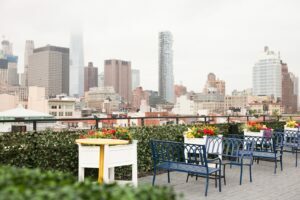 At OFFSITE Loft – as with all OFFSITE locations – we only serve one client at a time, ensuring unparalleled quality of service for meetings and events. 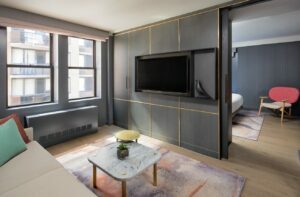 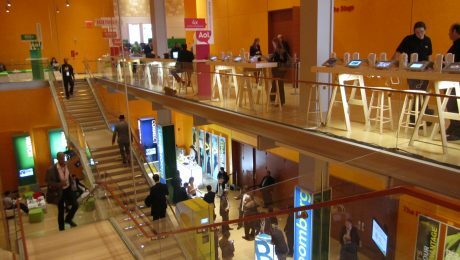 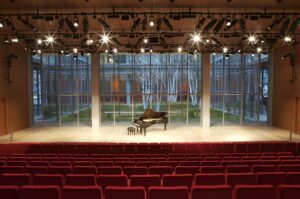 While it’s common for venues to have rooms for rent with shared common areas, OFFSITE guests enjoy private access to the entire space from the duration of their event. 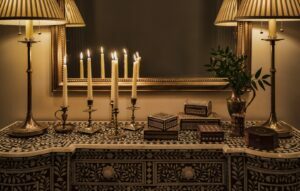 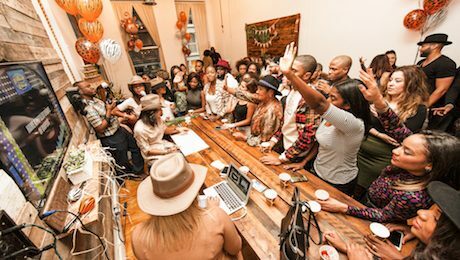 Of course, this exclusivity comes with the kind of creative freedom and support that is lacking from so many traditional venues, making OFFSITE spaces stand out in a league of their own. 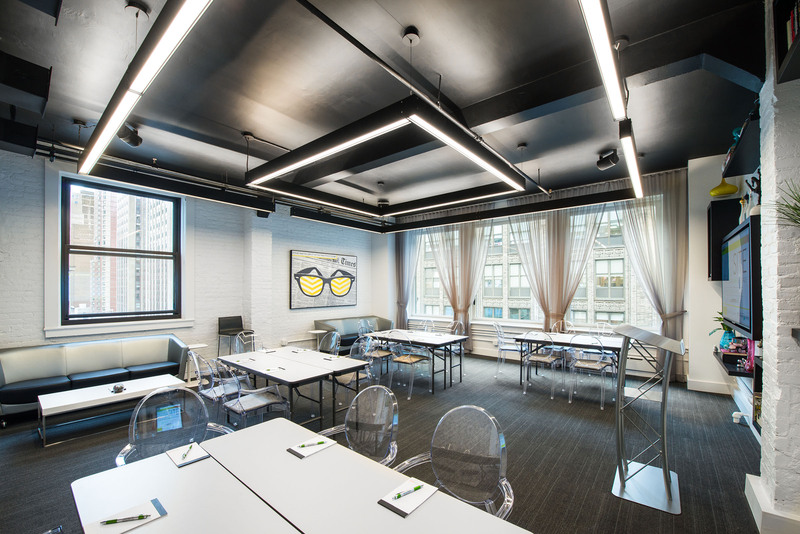 OFFSITE Loft is true turnkey experience that simplifies the meeting rental process without sacrificing quality or amenities. 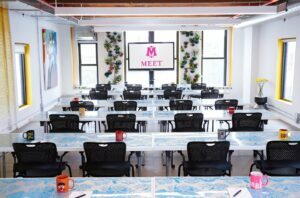 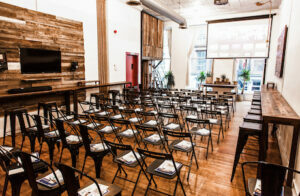 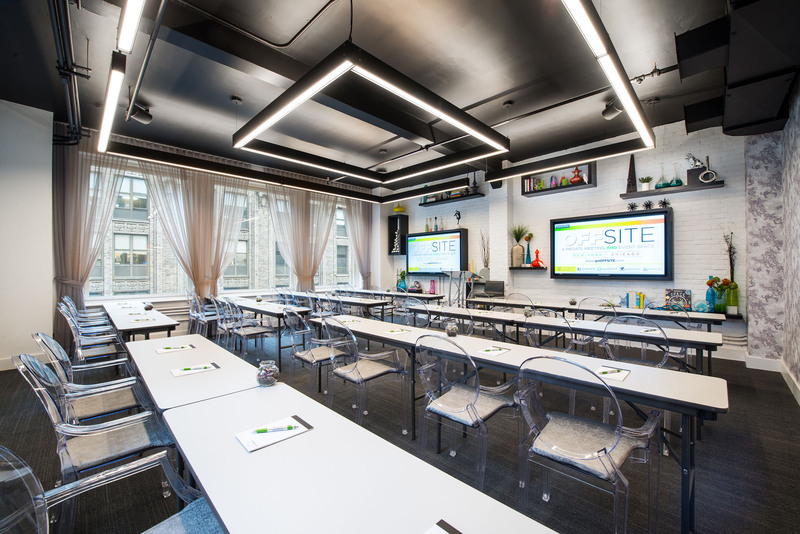 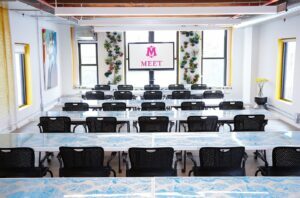 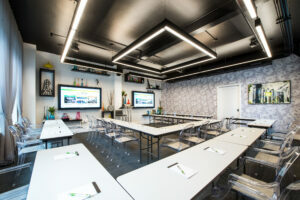 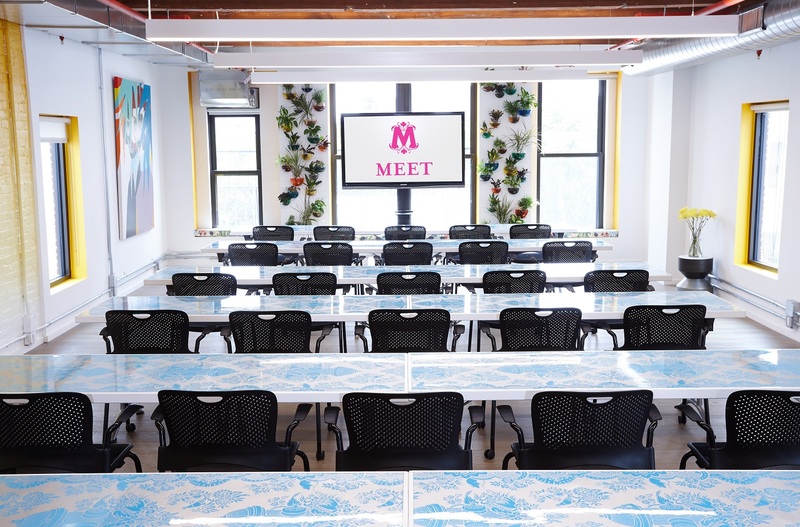 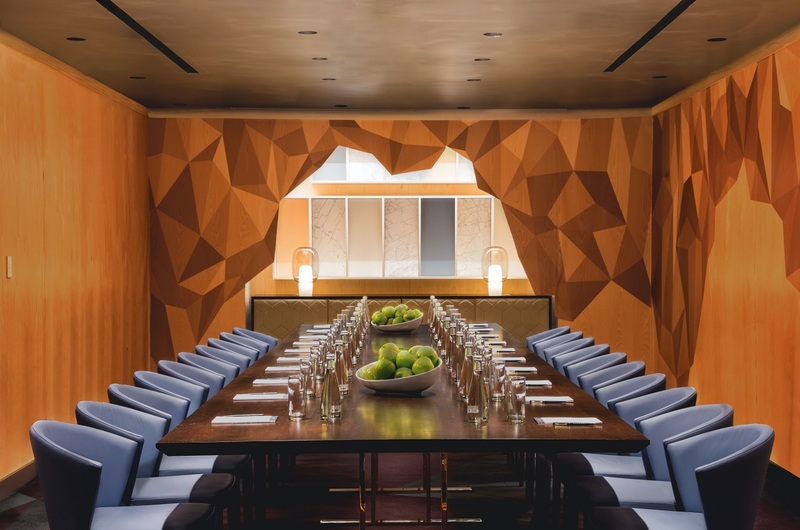 Included at no extra charge at every OFFSITE Loft meeting is the entire venue with customized setup, state-of-the-art technology and full tech support, snacks, beverages, office supplies, a dedicated event coordinator and a hospitality staff. 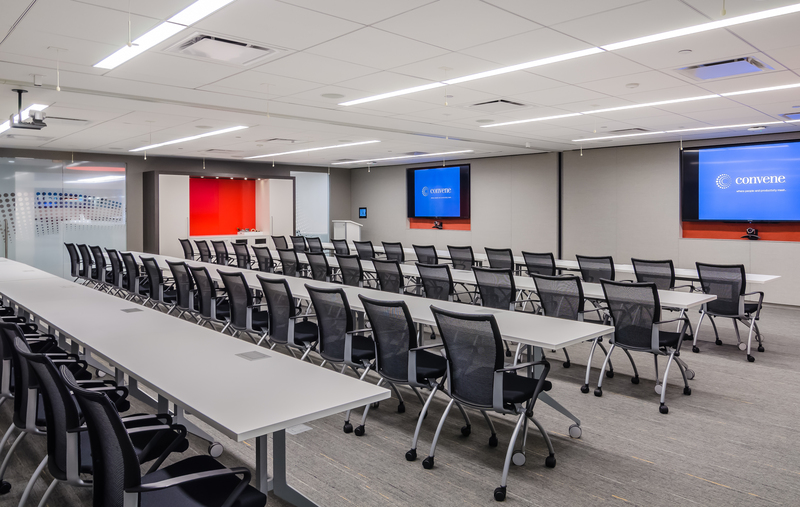 We take care of our clients through and through, so that they can take care of and focus on the business they are here to do. Some things cannot be expressed in words; the truth is, OFFSITE has to be experienced to be fully understood. 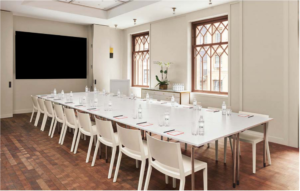 The majority of our business is from repeat clients who simply can’t go back to hosting meetings in traditional spaces once they’ve experienced what we offer. 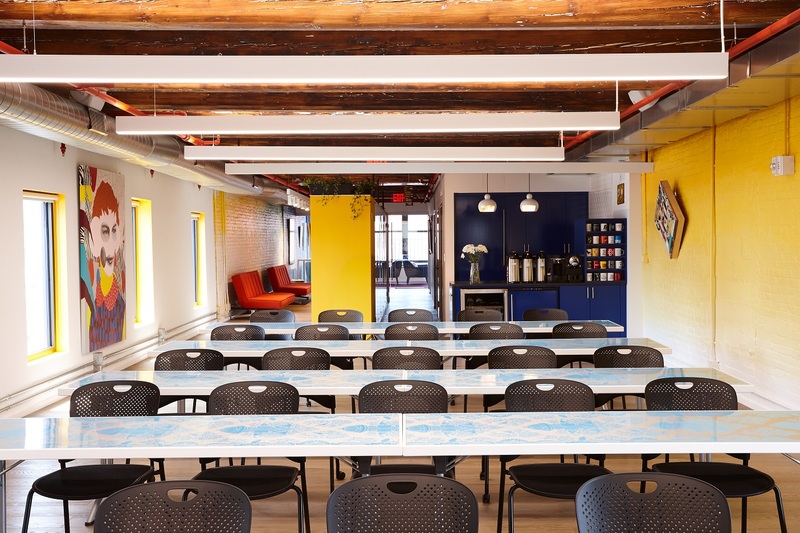 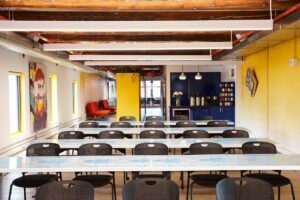 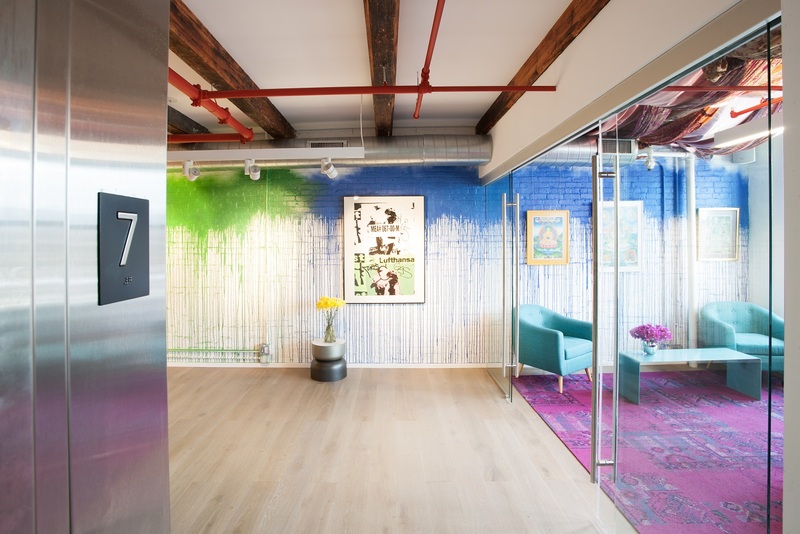 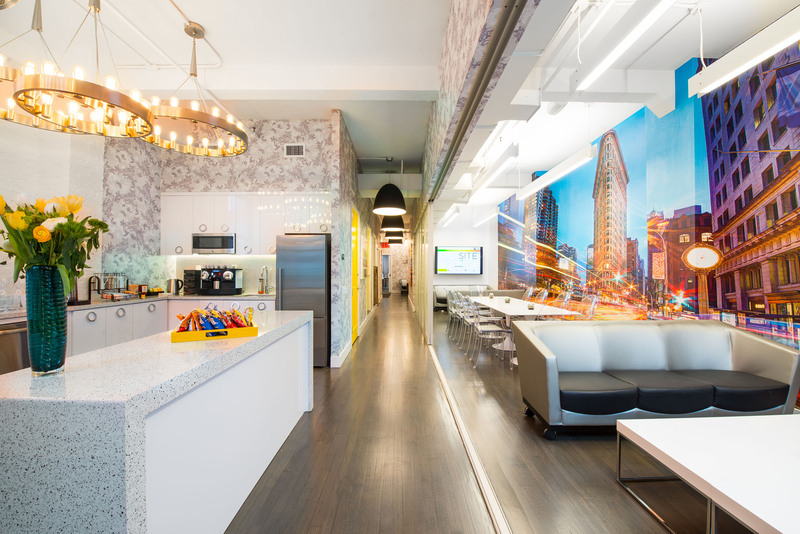 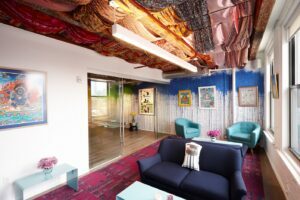 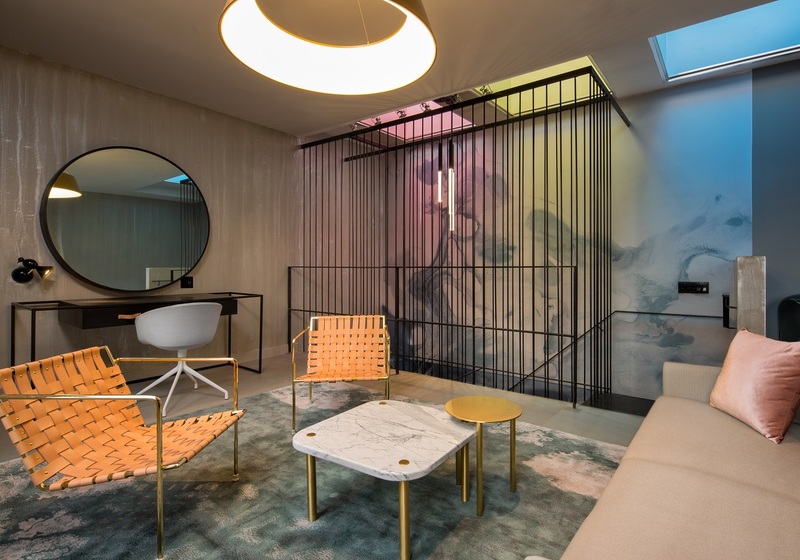 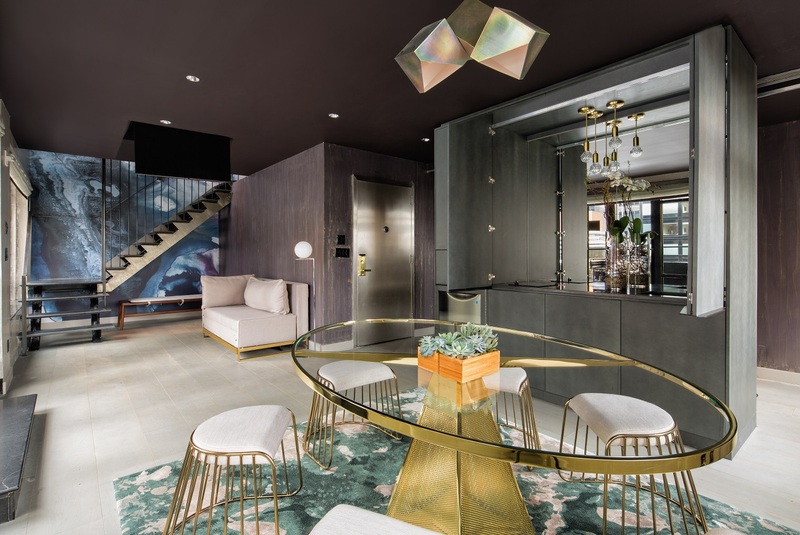 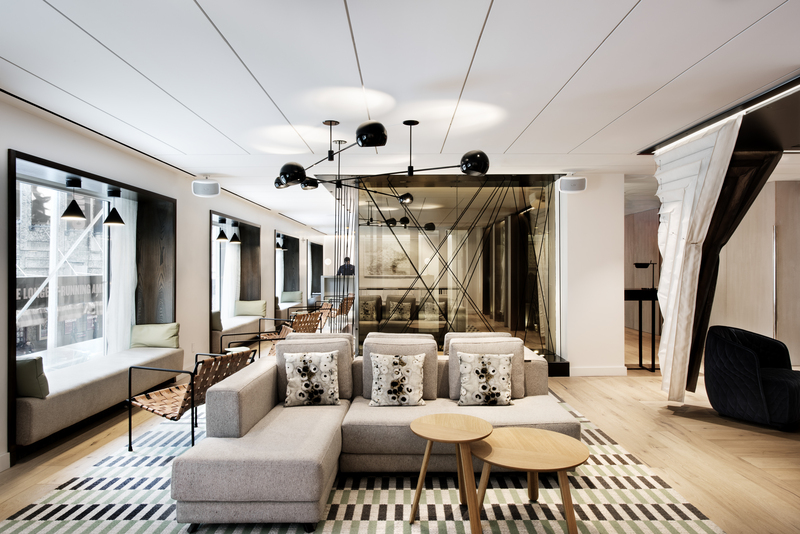 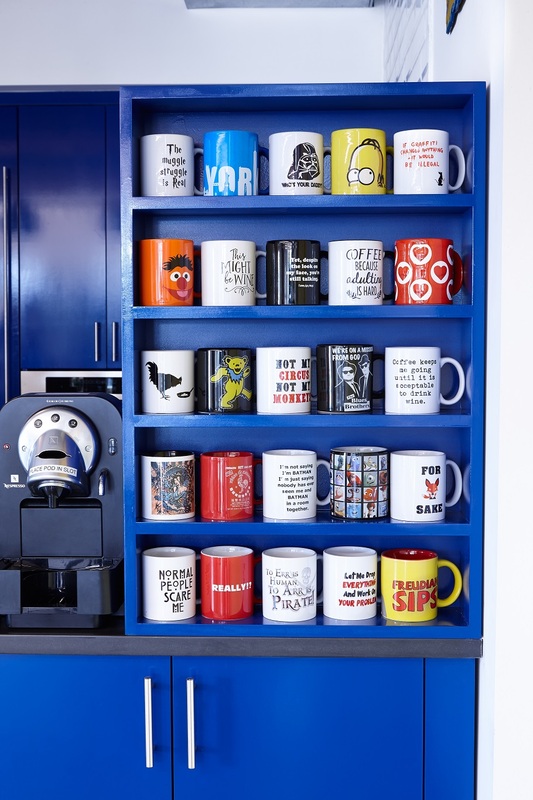 OFFSITE Loft is more than just a space – it’s an experience for companies who understand that important developments happen face-to-face in an environment that is thoughtful and optimized for the way people work at their best. 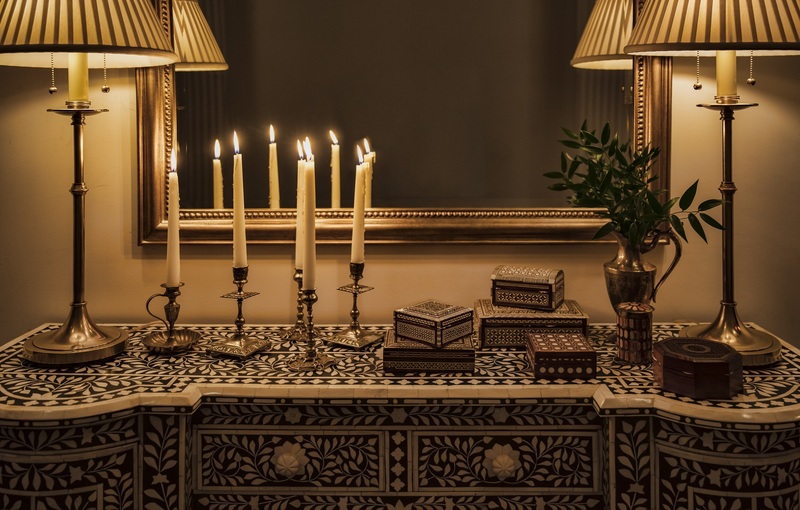 Every aspect of the space and service offering has been designed to exceed expectations. Our February opening event was really special for us, as it was the first time we saw OFFSITE Loft come to life with precisely the fluidity we envisioned from the beginning. A Friday afternoon happy hour, we enjoyed connecting with old and new friends and clients while moving from room to room, doodling on our 30’ of writeable glass wall, watching our photo gallery on the LEDs, snacking on hors d’oeuvres and pacing to great music, all while enjoying the skyline of a crisp workday soften as the sun set on a productive week. 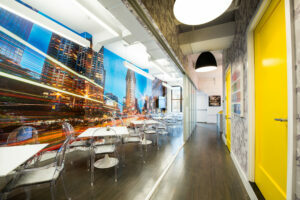 It was exactly how we would want a client to experience the space. 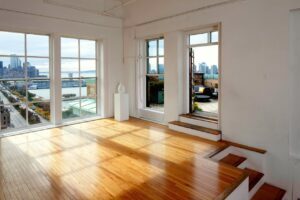 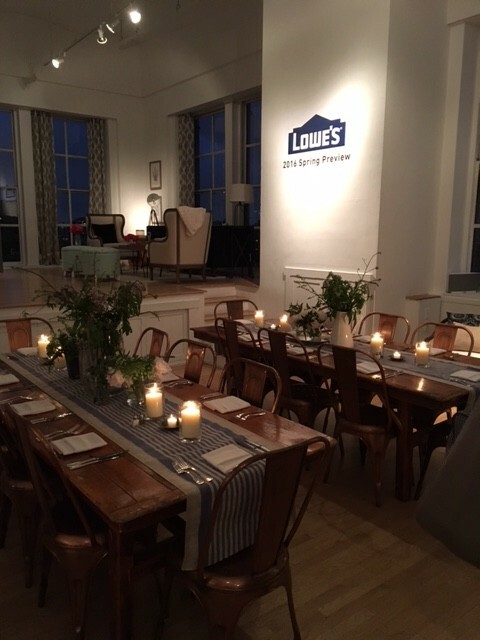 Hosting our own first OFFSITE Loft event actually put us into the shoes of our clients and their guests and provided a very important and affirming view of our business. 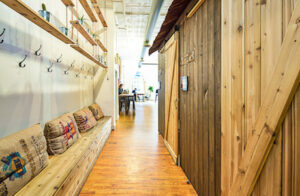 OFFSITE Loft is an intimate space with big functionality. 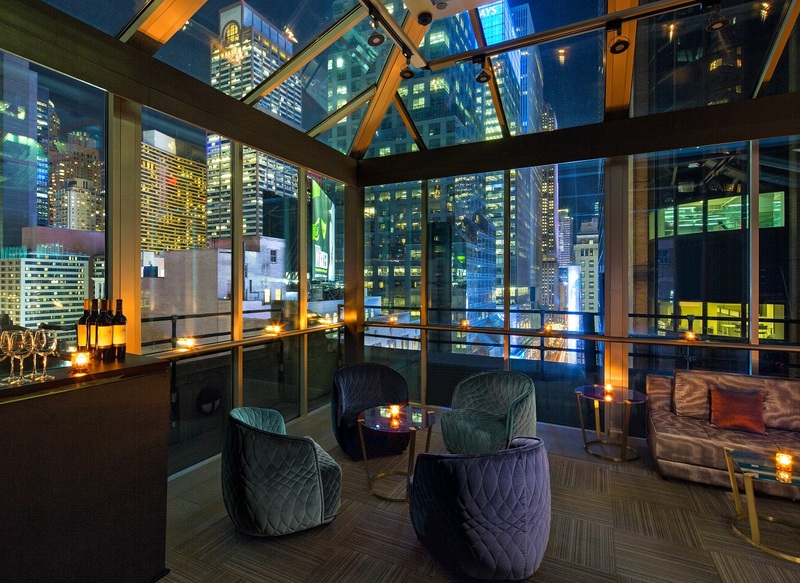 We have the midtown backdrop, the comfort of the venue itself, and the high-end A/V system – hosting a private acoustic set of a band we love for friends and family would be a dream. 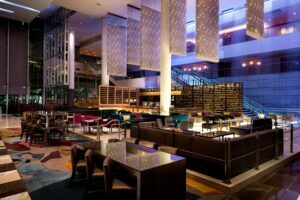 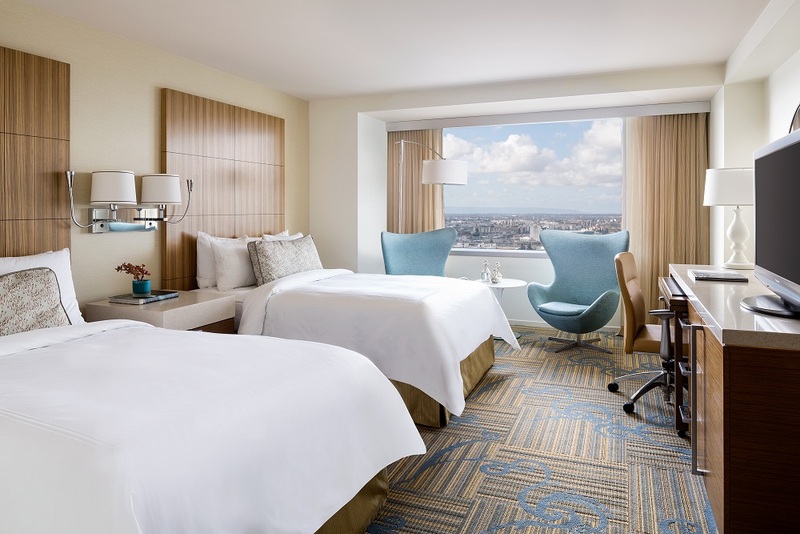 JW Marriott Los Angeles L.A. LIVE is the premier downtown Los Angeles hotel for meetings and conventions. 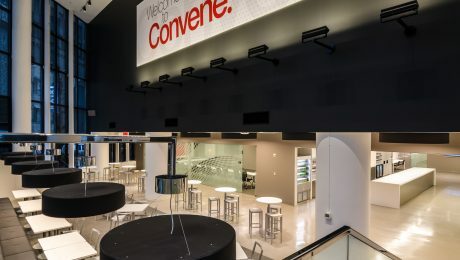 With over 1m square feet of meeting space on the L.A. LIVE campus (dubbed as the entertainment capital of the world), groups are afforded innovative experiences in an energetic and dynamic environment with plenty of space to host both intimate-sized and up to 2,800 attendees. 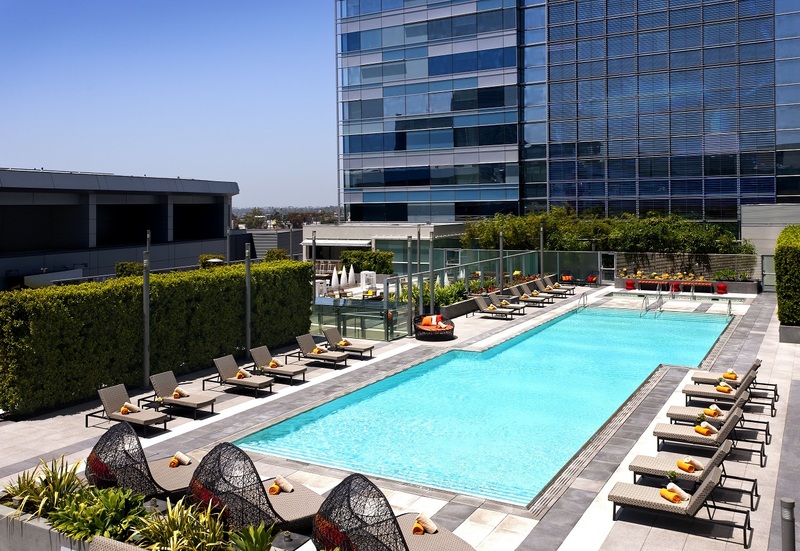 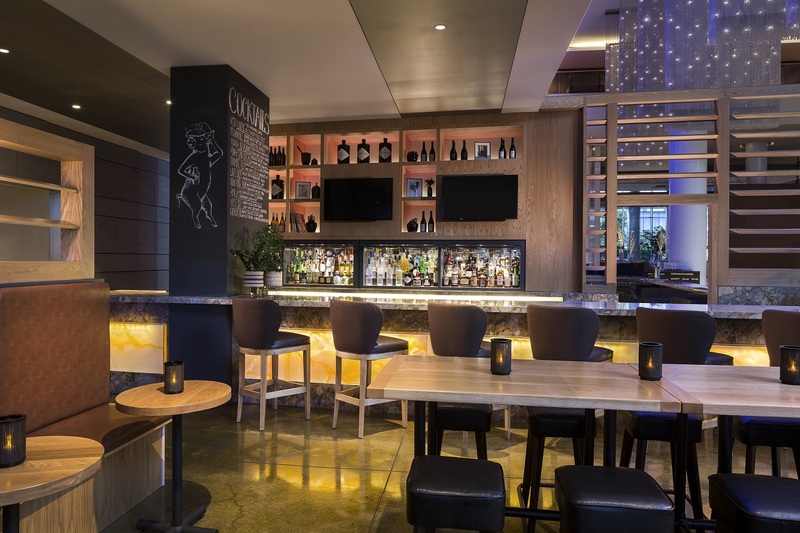 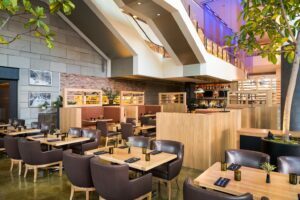 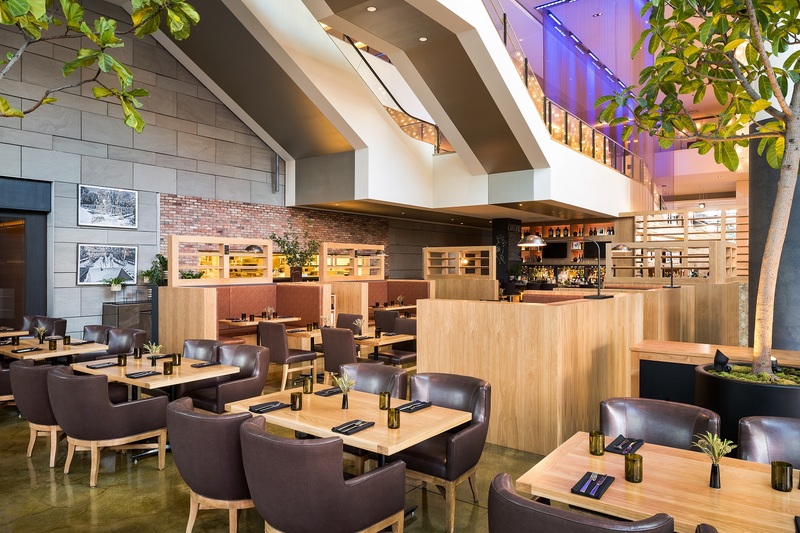 What would you say is JW Marriott Los Angeles L.A. LIVE’s most unique offering? Located within L.A. LIVE, home to awards shows such as the American Music Awards and Grammys, JW Marriott Los Angeles can recreate the Red Carpet Experience for meetings and conventions with show-stopping culinary displays, 5-star spa pampering, and access to Microsoft Theater, Regal Cinemas, and more. 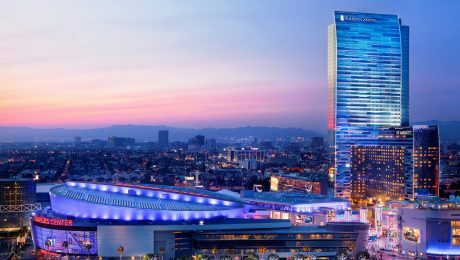 JW Marriott Los Angeles L.A. LIVE offers several stunning venues for meetings and events, including soaring, floor to ceiling windows in every ballroom foyer. 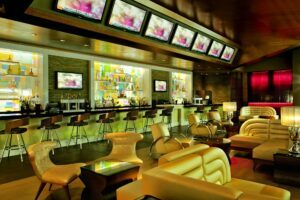 There is direct connectivity from the hotel’s meeting spaces into Regal LA LIVE Stadium cinema, offering stadium-style seating in 14 theaters, with state of the art Dolby Digital surround sound technology, screens up to 70’ wide, and little to no audio visual setup needed. 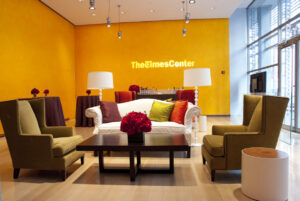 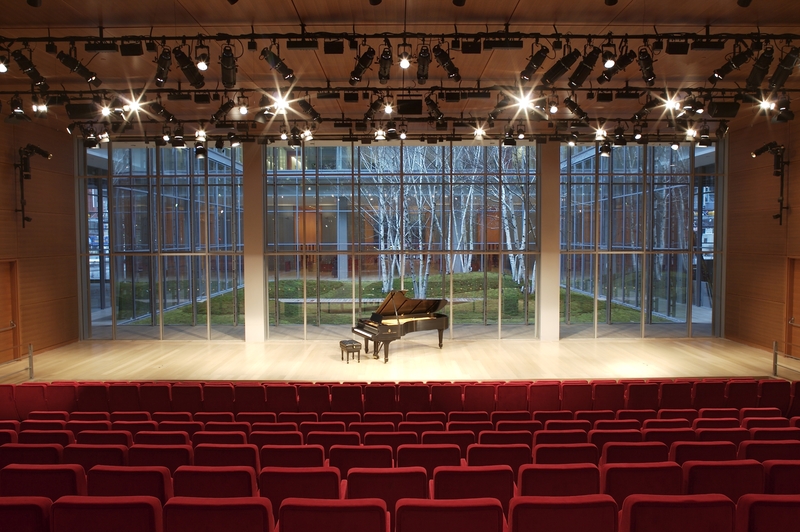 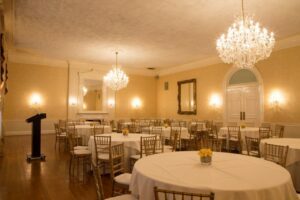 The ability to host meetings and events in both locations offers a truly unique experience. 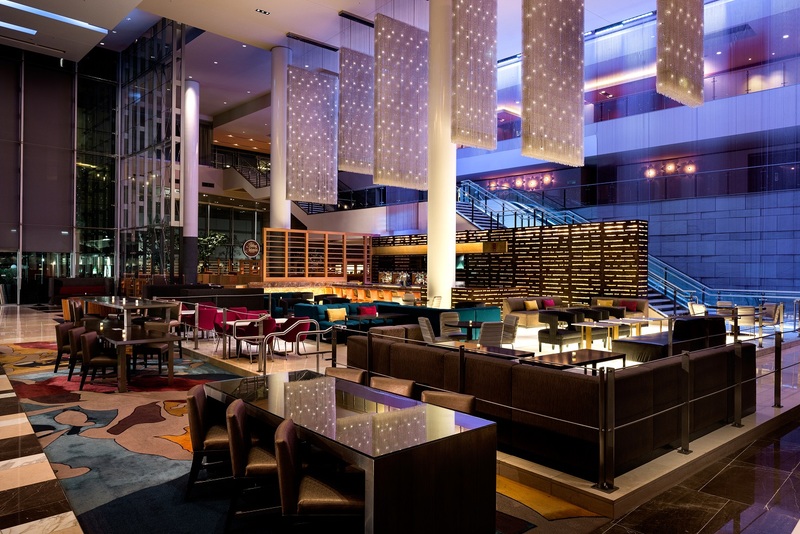 The hotel’s accessibility to meeting spaces within the property as well as to L.A. LIVE offers the flexibility to host unique events without ever putting someone on a bus. 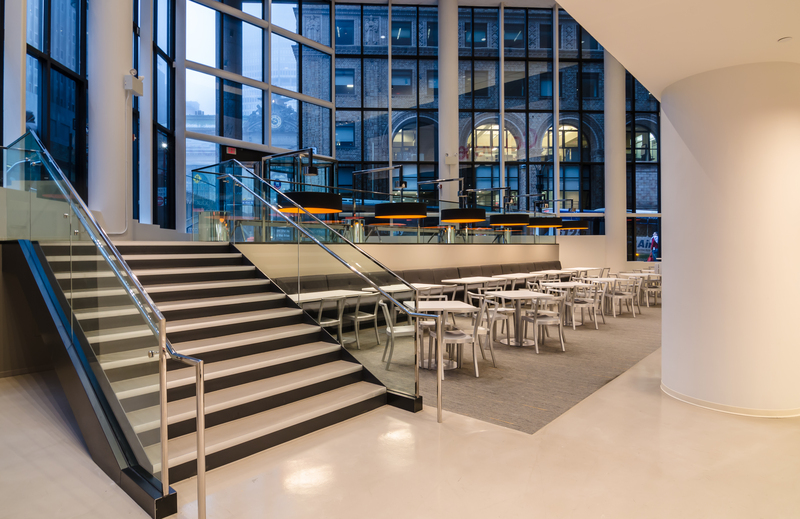 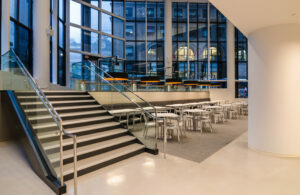 From the option of taking over the spacious and modern lobby for a dramatic welcome reception to hosting a show-stopping outdoor event within Microsoft Square. 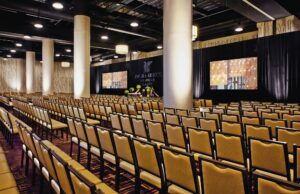 One of the most innovative meeting settings was showcasing a 360-degree screen around the entire 25,000 square foot ballroom with a center stage – completely transforming the space into a show-stopping environment, comparable to concert set up. Every day, we’re able to host dream events, including the American Music Awards’ after party. From the scale of an event our team is able to accommodate to the creativity put forth for designing the layout and activities, we are continuously amazed at how the hotel allows events to go beyond their limits. 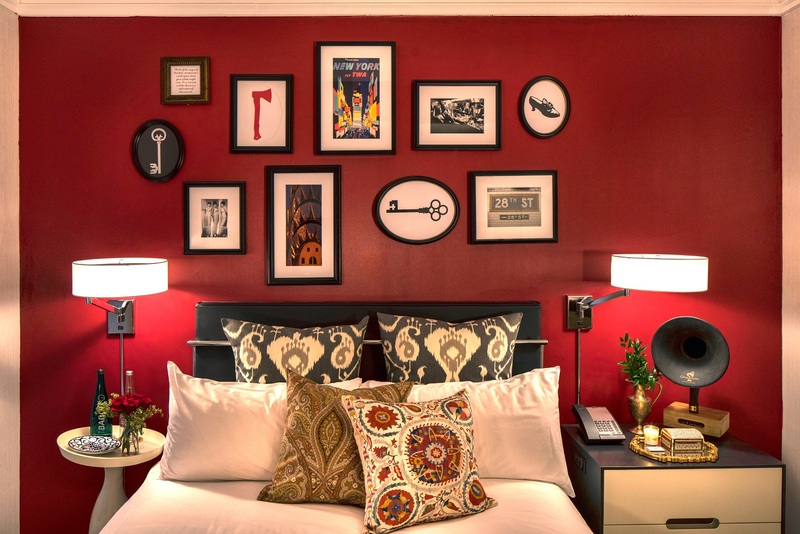 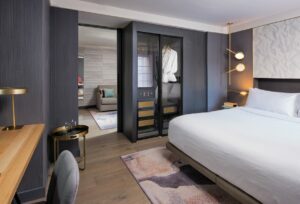 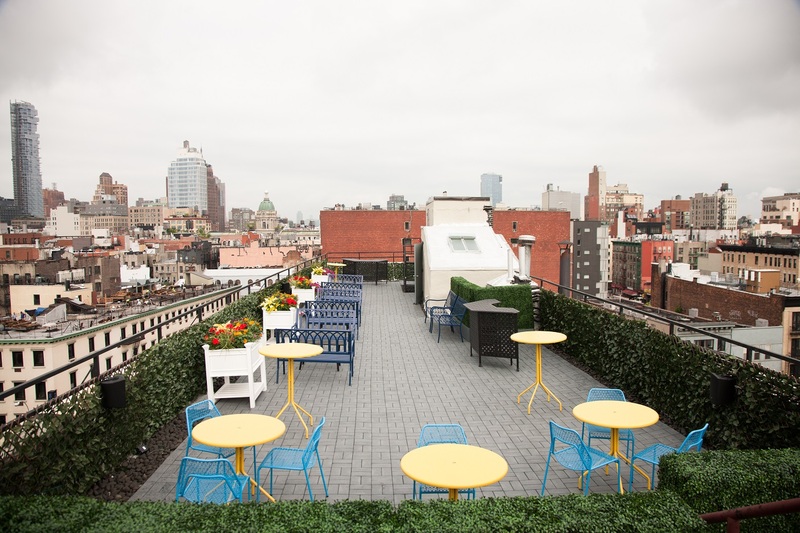 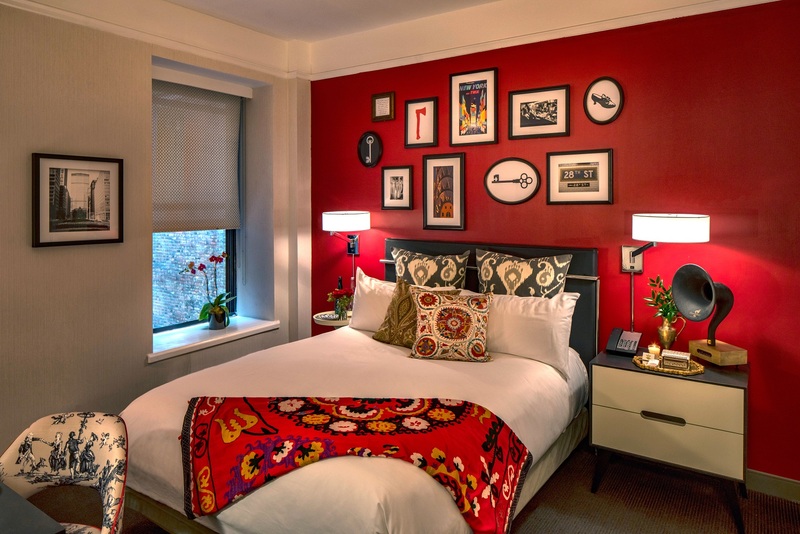 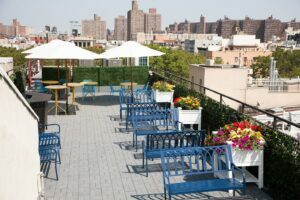 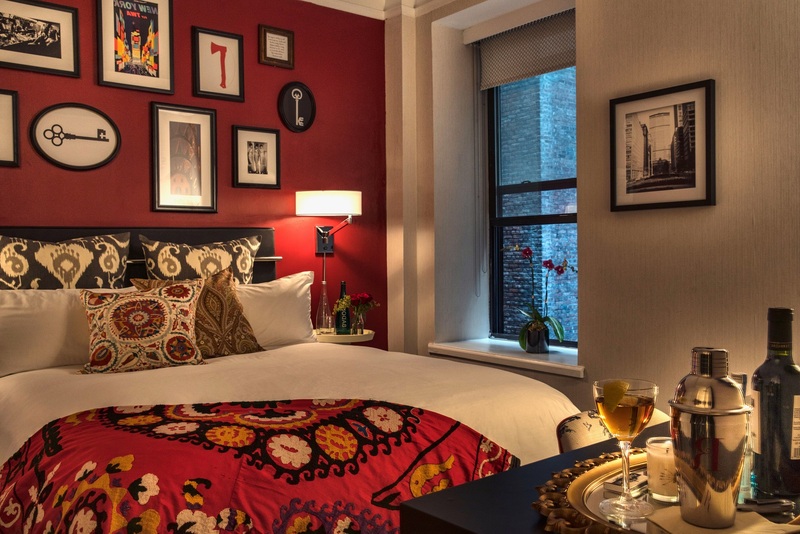 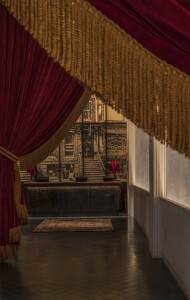 Recently rebranded to The Redbury New York, this historical 1903 hotel offers over 8,000 square feet of newly-renovated event space catered by Marta, Union Square Hospitality Group’s Roman-inspired pizzeria and grill known for its reimagined thin, crackly-crusted pizzas and seasonal specials cooked “alle brace,” meaning over open embers. 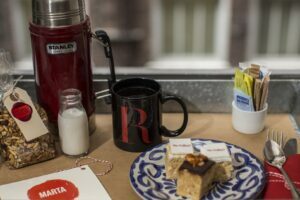 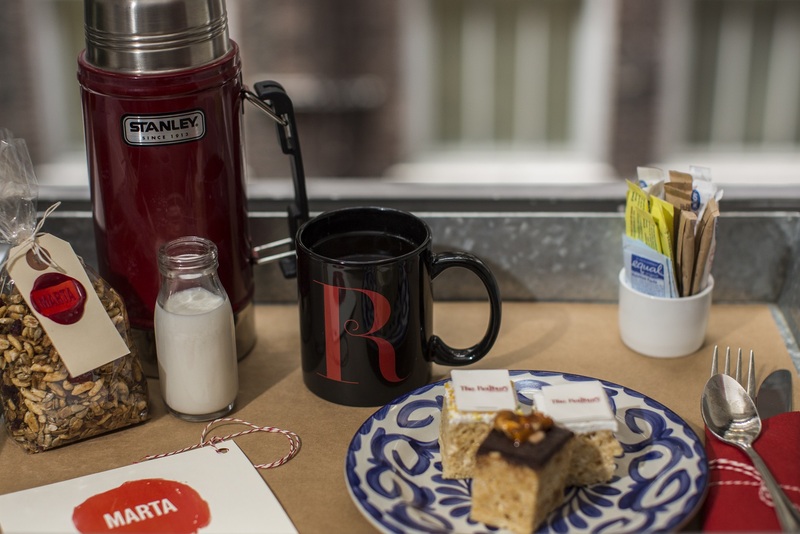 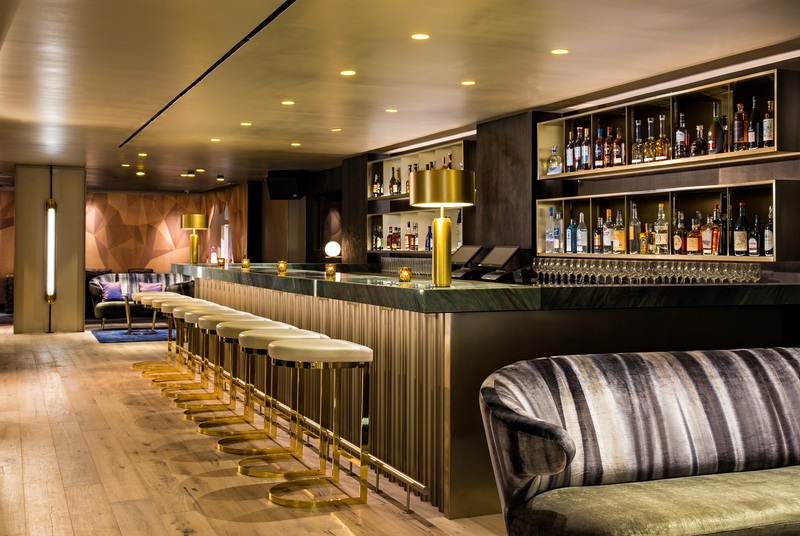 What would you say is Marta and The Redbury New York’s most unique offering? 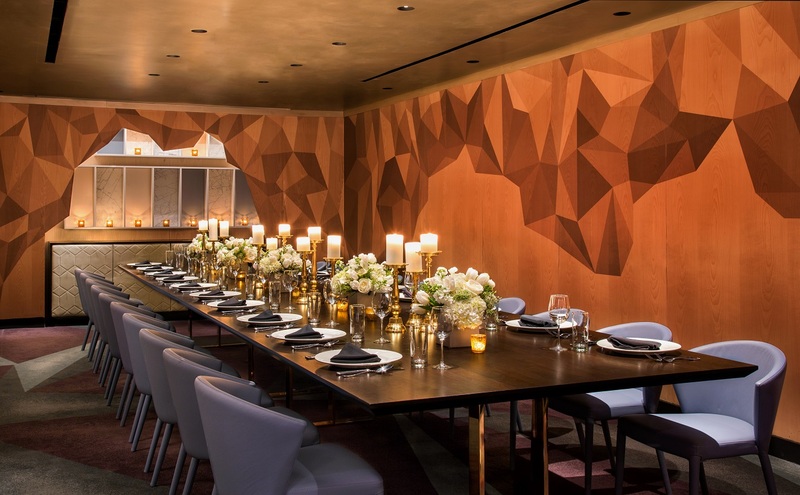 One of the most unique options we offer is our “Chef’s Table,” which hosts up to 50 guests in Marta’s underground kitchen that provides an exciting and intimate experience for guests to interact with our chefs as they serve up delectable bites. 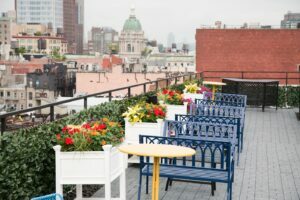 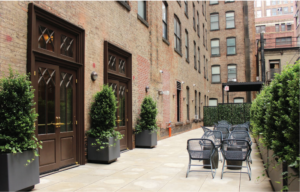 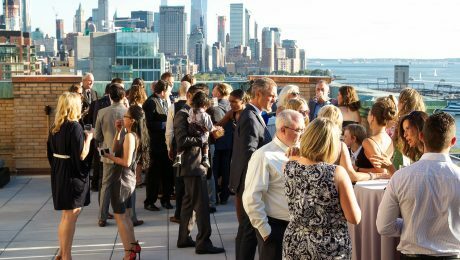 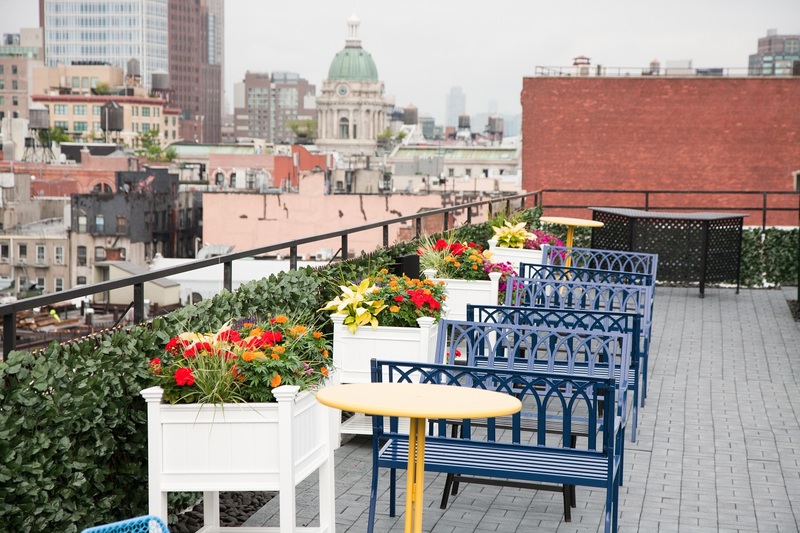 Our event space has an 1,100 square foot open air terrace known as our “city-scape” as a bonus space to every social or corporate event for guests to enjoy! 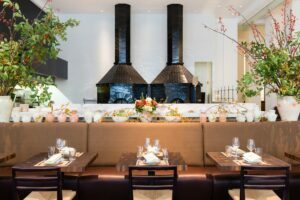 We also have a 55 person “Chef’s Table” which guests can interact and watch our chef’s in action artfully prepare food right in front of them as they mix and mingle with others. 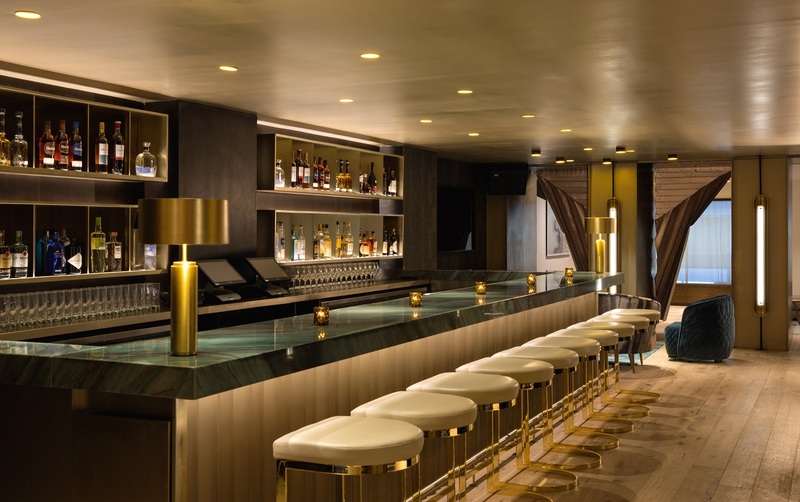 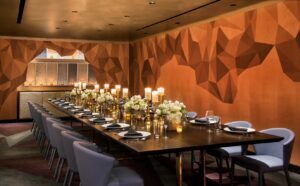 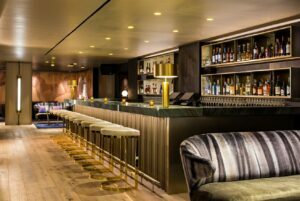 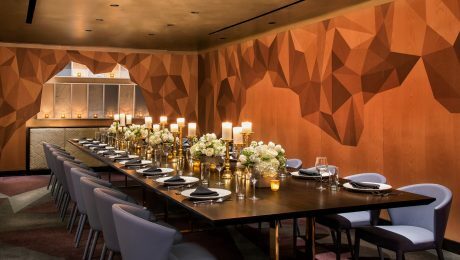 Event planners aren’t always aware that Marta and The Redbury New York’s private events are catered by Marta’s culinary team, led by Chef/Partner and James Beard Best Chef New York City nominee, Nick Anderer, and Executive Chef Joe Tarasco. 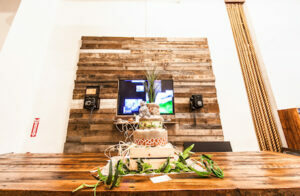 My most memorable event by far was when a group connected their slow motion photo booth up to our (2) 180-inch screens playing throughout the party as well as a full DJ setup with 4 different rap groups from the 90’s and 2000’s. 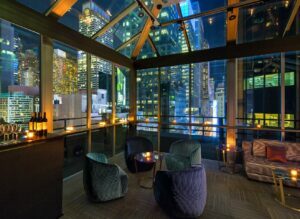 The outdoor terrace was filled with freshly rolled cigars and scotch! 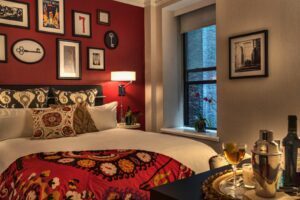 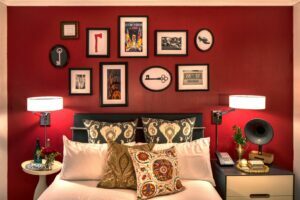 My dream scenario would include a Champagne reception curated by Marta’s Master Sommelier Jack Mason, followed by a grand tasting showcasing each Union Square Hospitality Group restaurant, set to the tunes of a 5-piece jazz band. 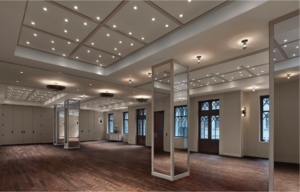 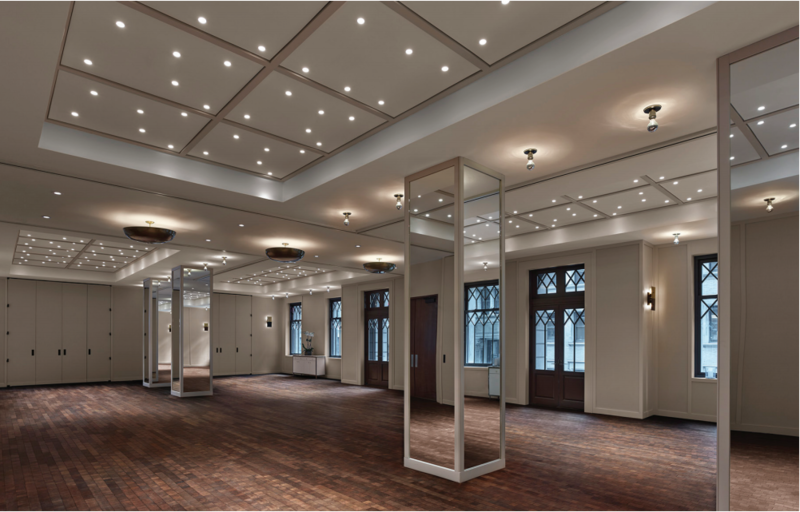 Give us your best elevator pitch for 3 West Club? 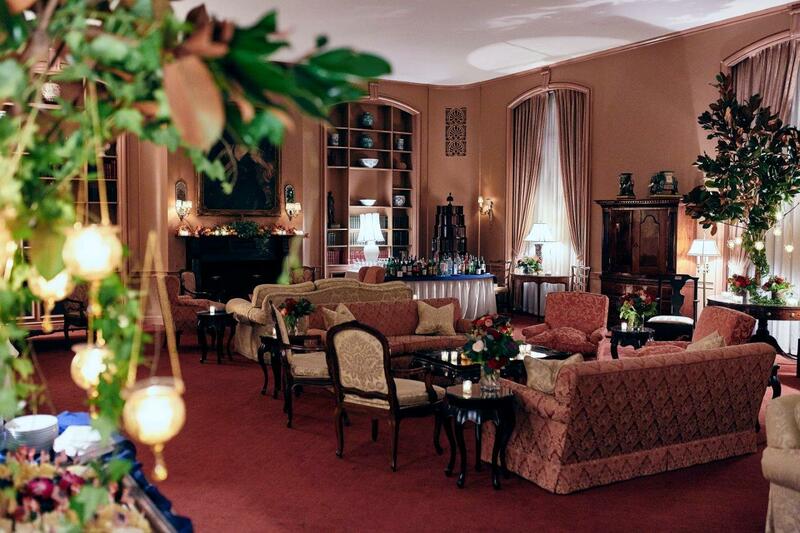 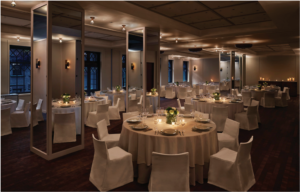 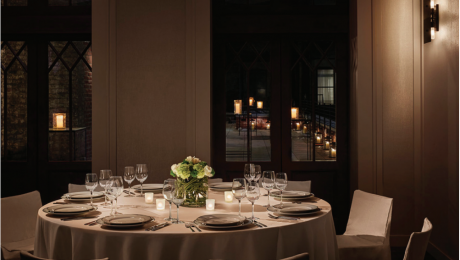 Steps away from Fifth Avenue at Rockefeller Center, in the heart of Midtown Manhattan, 3 West Club offers the grace and glamour of our historic building, seamless service and first class cuisine. 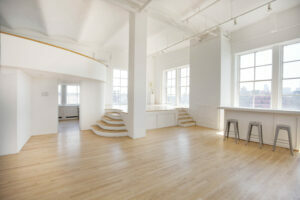 With over 7,000 sq. 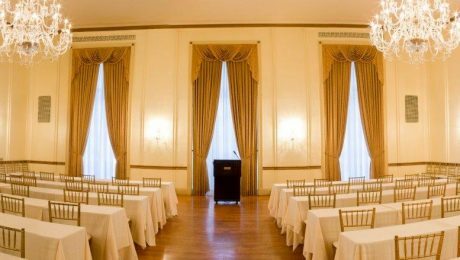 ft. of event space, we have the optimal setting for your corporate seminars, board meetings, private dining and elegant receptions. 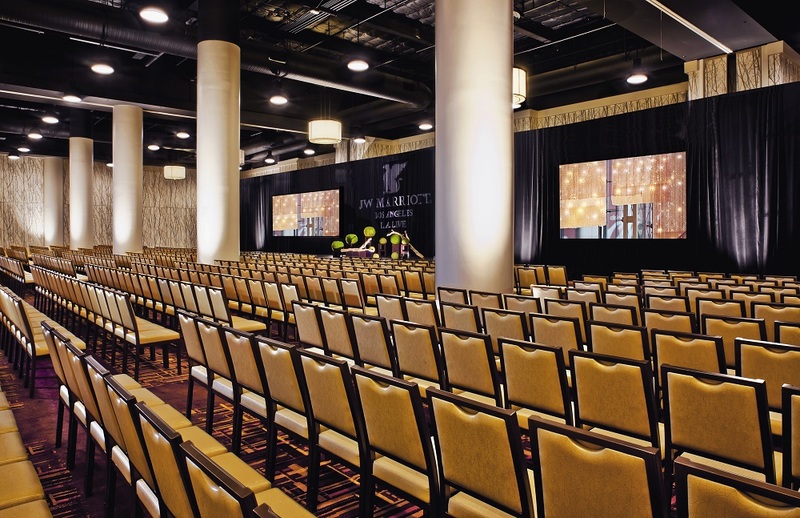 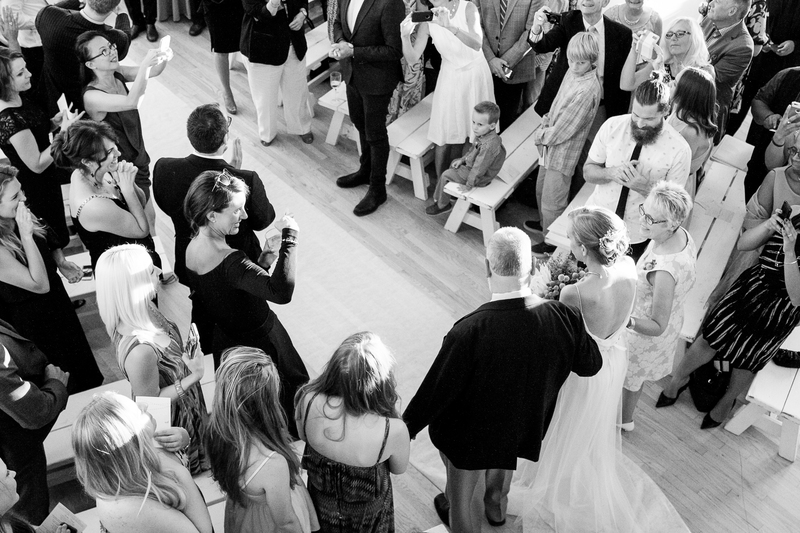 Our service team will work tirelessly to ensure your event is a success. 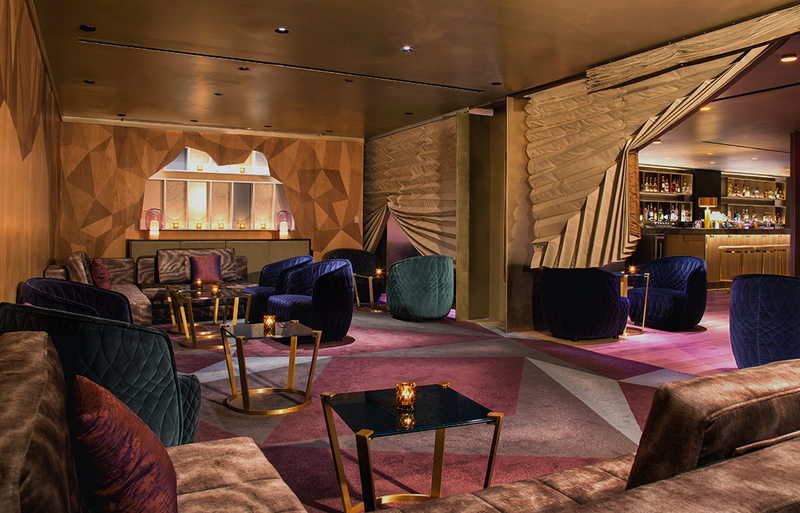 What would you say is 3 West Club’s most unique offering? 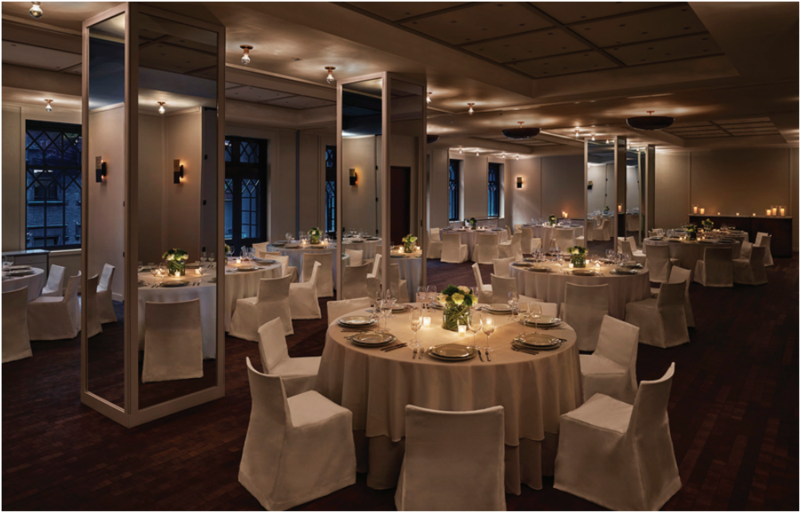 The entire south wall of our beautiful Solarium is a glass enclosure, leading guests out to a large outdoor terrace with additional seating and stunning views of St. Patrick’s Cathedral. 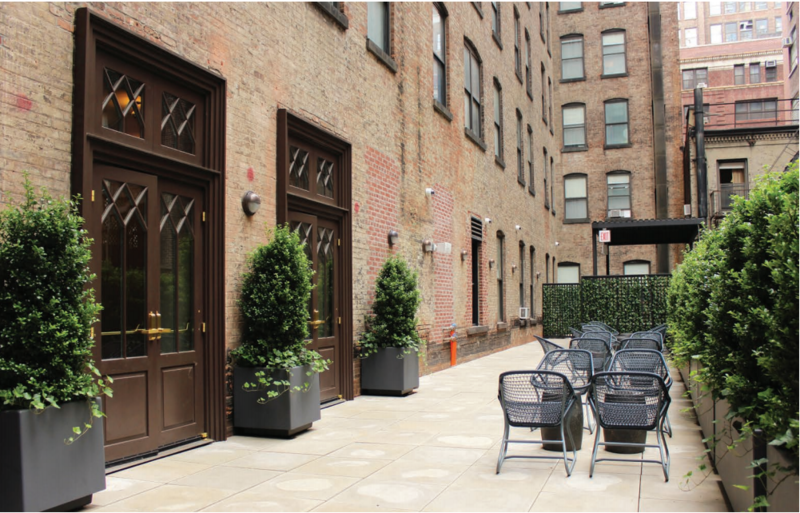 A retractable awning makes this space usable rain or shine! 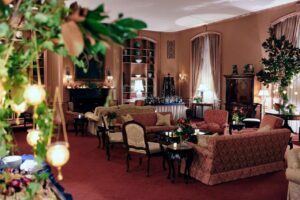 Our building was planned in the early 1930’s designed by noted architect, Frederick Rhinelander King, and built on the site of the former home of Andrew Carnegie. Although we are located in the private clubhouse of the Women’s National Republican Club, our 27 guest rooms and event spaces are available for rent to the general public. 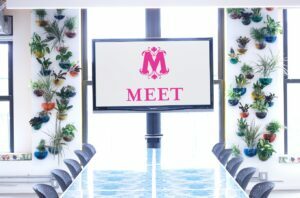 One of the top brands offering male grooming products used our entire fourth floor for a unique experiential marketing event to launch a new fragrance. 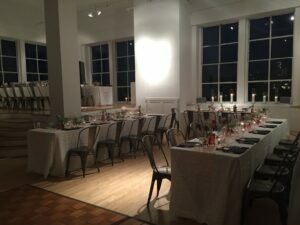 A company holiday party that uses each one of our unique event rooms throughout the night, offering different atmospheres to attendees.